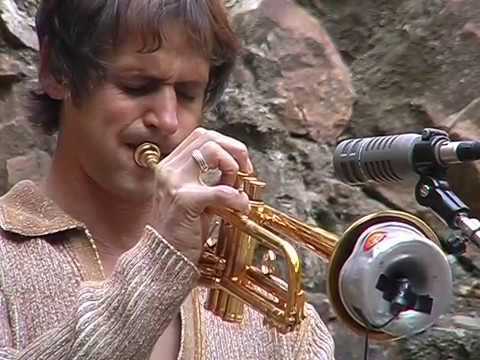 You're currently browsing page: /trompeter-musiker-komponist/25/intuitive-music-and-more/?lang=en of www.markusstockhausen.de. Intuitive Music and More, open to all musicians who are interested in improvisation and have already some experience in improvisation, and who can play their instrument well. There are many things to be learned and observed in free improvisation: from scales, rhythms, to the instant composing of the form, and before all, “the Art of Listening” to each other. It is one of the most challenging and rewarding ways of music making today, and it stimulates the creative spirit of every musician. Markus Stockhausen will be working with advanced musicians of all musical styles on improvisation with a special emphasis on the intuitive. In doing so, participants will explore creativity and awareness, knowledge and feeling, the art of listening, focussing on the practical element. Requirement: Participants have to bring their own instruments (is a piano is available?). Intuitive Music for me is the most challenging and also most rewarding way of making music, because everything is decided on the spot. It goes beyond improvisation, which mostly happens in a certain expected style, on a song, on a chosen rhythm, a harmonic pattern etc. Intuitive music for me has no stylistic boundaries, it should ideally be fresh, music of this very moment. Everything is decided right now. It demands all your musical skills, the technical and the musical qualities, your fantasy and creative spirit. As a player you need a very still and open mind, and even more open ears, to perceive something beyond your personal limitations. Sometimes you play things that are new even to yourself. Especially in a group of players, new music is born that otherwise could have never been composed or imagined. Conduction with larger improvising ensembles may at times be helpful, but has to be done with great respect for the players. It makes synchronous events possible, as well as shaping the general developement of the music, creating energetic highs. It sometimes encourages individuals to go beyond their own limitations or preconceptions, expanding their imagination. It is another kind of real-time composing that should be applied as intuitively as the playing itself; spontaneous, with no preconceived idea, and open to the moment’s inspiration, in harmony with all constituting elements. 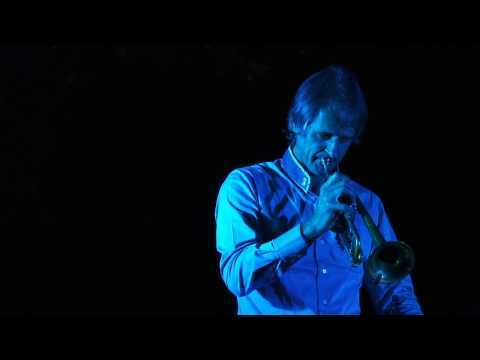 The term Intuitive Music was originally coined by Karlheinz Stockhausen in relation to his two text cycles Aus den Sieben Tagen and Für Kommende Zeiten, which contain performance instructions for intuitively improvising musicians, and to the recordings and many concerts which he gave with his group at the time. For participants: Homepage of the Academy Director: Markus Stockhausen The object of this Academy is to educate musicians from all background styles in intuitive performance, and to show them a path to the making of professional Intuitive Music. How can I prepare myself for an “Intuitive Music and More” course? Ear training exercises (best with two people). Recorded during the Impro-Winters Dance plan Dresden, February, 10. -12th, 2010 by Markus Stockhausen. As musicians we channel energies being brought to expression and these have an effect on us and above all on the audience listening to our music. 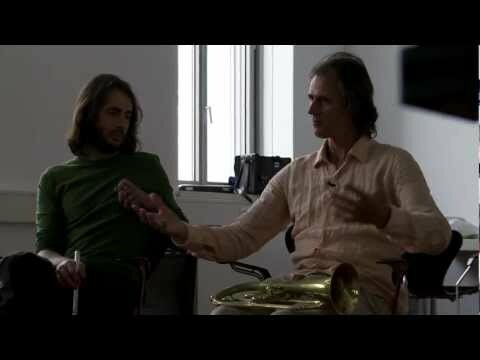 Markus Stockhausen’s International Academy A report by Stephanie Lepp, April 2011 It is not easy to give a short answer to the question “What is ‘Intuitive Music and More’? ”. Gedicht von Beate Moser Schafft Futter herbei für den Klangkörper, bringt Trommeln und Rasseln, macht Platz für die Holz- und Blechbläser mit ihren lustigen Physiognomien. Benvenuti ! In questa pagina troverete tutti i ragguagli sull’attività seminariale in ambito internazionale di Markus Stockhausen inerenti al Tema “Intuitive Music And More” nonché altre informazioni ad esso attinenti. Ishu Michael Lohmann „Es gibt diesen einen Moment – entweder du lebst ihn oder du verpasst ihn. Geschrieben von Prof. Dr. Peter Fauser als Email an Matthias von Hintzenstern, der als Cellist mitwirkte im Workshop und Konzert des „Intuitive Music Orchestra“ unter der Leitung von Markus Stockhausen, am 6. In questa pagina troverete tutti i ragguagli sull’attività seminariale e concertistica in ambito internazionale di Markus Stockhausen inerenti al Tema “Intuitive Music And More” nonché altre informazioni ad esso attinenti. An open spirit at peace with itself and its surroundings. Allow sound to be born of silence. Hear, listen, inwardly and to all that is around. Seek, discover and play sounds in harmony with totality. Now…in the present. The language chosen is secondary. Preferably it is not limited and belongs to no definite style. Music comes into existence. Hearing comes into existence. Thought comes into existence. I am solely instrument. Konzert „Intuitive Music and More" in der Bundeskunsthalle mit M. Stockhausen, R. Zavelberg, u.a. I have been fortunate enough to regularly play intuitive music with excellent musicians. The following recordings document this music. Some are more in a jazz context, others mixed or stylistically free, such as “Spaces and Spheres” or the latest CD “Ritual” with Tara Bouman. Performed by MOVING SOUNDS – Tara Bouman, Markus Stockhausen two people – one space – making audible the moment in sound – our ritual – no words… just music. Released in 2009 | with Markus Stockhausen, Tara Bouman, Stefano Scodanibbio, Fabricio Ottaviucci and Mark Nauseef. 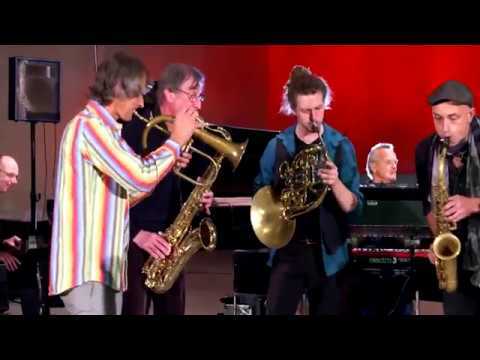 „Treasures I can lift…“ featuring Markus Stockhausen, Vladyslav Sendecki, Arild Andersen and Patrice Héral. Resounding clarity floods the soundstage on as Stockhausen’s brass instruments produce full bodied, bell shaped tones of authority. MOVING SOUNDS – Tara Bouman & Markus Stockhausen. “Intuitive music and compositions” is the heading of their first Duo-CD. These are sounds that touch. 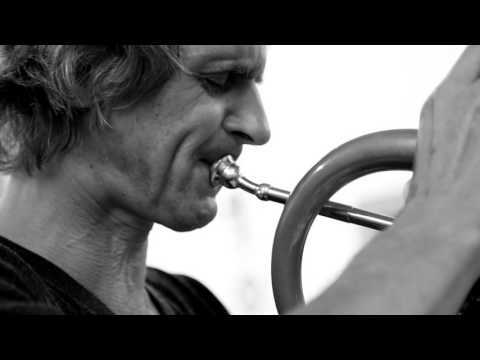 Markus Stockhausen generates them in his monthly concert series in Cologne’s Südstadt with his trumpets, the silence and the wonderful accoustics of the interior of the church of St.
Miniatures of other-worldly beauty. 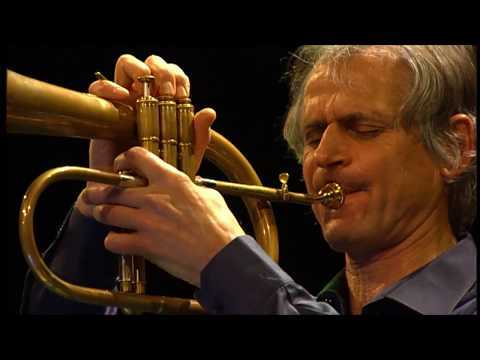 The experiences made in his more than 20 years on stage concentrate in Markus Stockhausen’s improvisations, expressed in a very personal manner in this work. Released in 2000 | with Markus Stockhausen, Arild Andersen, Patrice Héral, Terje Rypdal. A great musical moment on the threshold to the new millennium. Released in 1995 | with Markus Stockhausen, Fabrizio Ottaviucci, Rohan de Saram, Simon Stockhausen, Ramesh Shotham. Released in 1989 | with Markus Stockhausen, Fabrizio Ottaviucci, Gary Peacock, Zoro Babel. Available at Amazon, iTunes, Spotify and commercially Music: Markus Stockhausen, Fabrizio Ottaviucci, Gary Peacock, Zoro Babel So Far… Cosi Lontano . Released in 1980 | with Markus Stockhausen, Jasper van’t Hof. Available directly from the artist.